Exhibition schedule: Bronx Museum of Art, Bronx, NY, November 4, 2015–March 13, 2016; the Wexner Center for the Arts, Columbus, OH, May 14–August 7, 2016; Berkeley Art Museum, Berkeley, CA, September 12–December 10, 2017. Martin Wong: Human Instamatic, the Bronx Museum’s ambitious exhibition of Martin Wong’s paintings, and the first museum retrospective of the artist since Sweet Oblivion: The Urban Landscape of Martin Wong at the New Museum in 1998, is accompanied by a no-less ambitious exhibition catalog. The seven essays, including a never-before published interview between Martin Wong and curator Yasmin Ramirez from 1996, provide a complex portrait of the artist’s painting career that goes far beyond previous considerations of the artist, which identified him as a neighborhood artist and folksy documentarian of New York’s Lower East Side in the 1980s. While his outsider status may be true to a degree, the catalog’s essayists ground Wong as an insider as well: they discuss his work within a wide range of artistic concerns, at the same time foregrounding Wong’s active engagement with poets, street artists, and other colleagues in the Lower East Side. These colleagues include many of the essayists: Holly Block, Dan Cameron, Julie Ault, and Yasmin Ramirez, among others. As such, the essays tend to read like personal treatises on the status of the late artist. Overall, these essays center around one consensus: Martin Wong’s paintings document cities and communities in the midst of upheaval. The short introduction by Block notes the importance of Wong’s artistic eye; it could “capture the vibrancy of a resilient, artistic, and multi-ethnic community on the verge of displacement.” (8) And yet, Wong was no mere “human instamatic.” His compositions, Block adds, were often more imaginary than true-to-life. Paintings of crumbling brick tenements are often given a romantic air: couples embrace below crumbling surfaces and, above them, skateboarders soar towards the stars. In contrast to this optimistic milieu, a darker side of the city emerges in his paintings of prison and tenement architecture. The essayists pick up on this tension, that Wong’s ability to document the city was predicated not on verité, but on truths predicated on a narrative reimagining of cities. Bronx Museum Director of Curatorial and Educational Programs Antonio Sergio Bessa provides an entry into this tension within Wong’s work in “Dropping Out: Martin Wong and the American Counterculture.” In it, Bessa works through Wong’s dual fascination with scenes of control and romance via a heft of social, as well as biographical, context. Bessa’s compelling argument for Wong’s interest in the two themes begins in the 1970s, prior to his move to New York. The artist came of age in the 1960s, Bessa explains, amid California’s hippie-era of free love, and became a part of the queer, artistic counterculture. After attending art school, Wong performed with the Cockettes, a San Francisco-based communal and experimental theater group. (One performer associated with the group, Divine, would go onto achieve celebrity status as a star of John Waters films, and the Bronx Museum exhibition includes an acrylic portrait from this period, Divine, 1979, based on a Polaroid photograph from Wong’s Cockettes period.) Wong moved to the East Coast in the later part of the decade. Trading laidback, sunny California for the rigors of New York meant entering into a quite different counterculture. As Bessa writes, it was one which “demonstrated a growing fascination with fantasies of discipline and submission to leather culture.” (18) Wong’s brick-layered city and prison canvases resonate with a fortress-like atmosphere. And yet, “Wong’s vision of the city remained rather nuanced and joyous.” (22) He was able to take elements of the real—often via his own snapshots of the city—and reassemble them into fantastical scenes, complemented by his own repeated motifs of firefighters, lovers, brick enclosures, astrological figures, and American Sign Language (ASL), among others. Writer John Yau and critic Benjamin Binstock reiterate that Wong’s legacy lies not just in his chronicling of an era, but also in his ability to transform. He wove art historical precedents, of language along with visual tropes, such as the impenetrable brick walls and ASL, into an intensely intricate and personal iconography. In “All the World’s a Stage: The Art of Martin Wong,” John Yau astutely links Wong’s paintings of the “crumbling environs of his beloved East Village to restaged views of a bygone era of San Francisco’s Chinatown,” and then to Vincent Van Gogh’s psychologically charged bedroom scenes in Arles and Jasper Johns’s painterly explorations into linguistic fragments. (38) Both Wong and Johns incorporated the ASL alphabet into their works in order to explore the layered relations between seeing and reading, though to completely different effects. Wong’s illustrative, almost comic-book style hands adorned with cufflinks, seen in a work like Starry Night (1982)—perhaps the title is another Van Gogh reference?—bring to mind, Yau suggests, Chinese ideograms, as well as the covert visual signals used by the city’s gay community at the time. His paintings cannot be deciphered in a single glance: there are many levels of sight and comprehension in Wong’s paintings. But by no means did Wong want his canvases to be impenetrable. As Yau mentions, “[a]s someone growing up in San Francisco’s Chinatown, Wong was aware that language could be both a form of communication and a barrier.” (42) To hide and reveal, to tread among exteriors and interiors, to paint between the visible and the invisible: these became a lifelong project for Wong. Similar to Yau, art historian Benjamin Binstock, in his essay “Brick House: Martin Wong and the Western Tradition,” picks up on components of Wong’s work that resonate with earlier visual motifs. Binstock argues that Wong’s canvases of brick exteriors—as well as his scenes of everyday life—evoke works by artists such as Hieronymus Bosch and Michelangelo. He concludes with a discussion of Wong’s works in relation to still life and genre painting from the Dutch Gilded age. Though the author relates Wong to canonical Western artists, Binstock mentions that Wong’s work does not “need to be singled out as another brick of the Western wall of paintings.” (63) Binstock’s wide-ranging comparisons might appear like a heavy-handed attempt to add Wong into a canonical version of art history, but for an artist such as Wong whose painterly achievements continue to be maligned in favor of a more community-minded narrative, a close reading of his paintings is a welcome addition. Even the literal aspects of Wong’s bricks are reiterated in a discussion of the crumbling tenements of the Lower East Side. Due to Binstock’s methodology and his essay’s lack of biographical detail, it appears as an oddity. It bears mentioning that many of the essays focus, perhaps too heavily, on biographical details that seem extraneous to Wong’s work—such as his “folksy” persona. That may come with the territory of soliciting essays that lean on the personal side more than being strictly historical. However, there are advantages to having a more personal approach. Essays written by close friends, or those “in the know” about how Wong’s works circulate, elucidate elements that otherwise might go unnoticed. Artist Julie Ault, for instance, provides a deeper context for the textual references in Wong’s paintings. She mentions that the text for several of his paintings “are imbued with the writing of the Nuyorican poet Miguel Piñero, Wong’s friend, lover, and sometime collaborator, who infinitely deepened his feeling for the neighborhood and also opened Wong’s imagination to prison life as a subject.” (85) With this knowledge, the collaborative aspect of Wong’s community-based practice comes to light. Through his personal involvement with who and what he documented, Wong became both subject and object of his paintings. Whether Wong’s paintings were “documents of their time” or related to grand historical precedents is an underlying tension in the catalog. Perhaps we still do not have enough distance with which to view him, and for that reason his history remains closely tied to personal relationships. For future historians of Martin Wong, it will be up to them to find a place to situate his work between the deep past and near present. One clue to developing this history might be found by looking back to Dan Cameron’s essay. He makes a passing reference, although a very astute one, that Wong’s work, notably its “principle of a social consciousness,” can be traced back to the Ashcan School. (106) While Wong’s work may not have been as sociological in orientation as those of the Ashcan School, finding a relationship between Wong and these American painters of the Lower East Side could provide a productive framework for viewing Wong’s work, as well as the changing neighborhood that he loved. For curators and historians interested in artists working in the New York City of the 1980s, this catalog gives plenty of research material ripe for the picking. However there remains much work to be done to historically ground these artists. 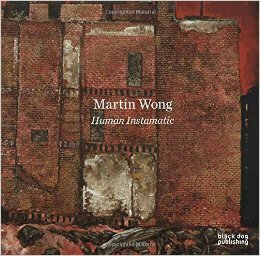 Biographical details still play a large part in the construction of these artists’ legacies, including in Martin Wong: Human Instamatic. Overall, the writers craft a loving, personal portrait of an artist they knew well. As such, the catalog should find a wide readership outside of a purely scholarly audience. For an artist like Wong, who was as well versed in art as popular culture, perhaps this is what he would have wanted. About the Author(s): Corinna Kirsch is a doctoral candidate in the Department of Art History, Theory, and Criticism at Stony Brook University, State University of New York.